A visit to the Somaliland Vice President, Abdirahman Abdillah with the presence of the Somaliland Coast Guard (SLCG) Commander, Admiral Mohamed Hussein took place on Wednesday 27th March with an EUCAP team led by the Head of Field Office Hargeisa, Georg Guentelberg and Strategic Maritime Adviser, Admiral Kenneth Neijnes. The event was initiated by the departure of Admiral Kenneth Neijnes and the successful completion of the Swedish Boat Project. The SLCG commander opened the meeting and clarified to the VP how the donated boats from the Swedish government through EUCAP are instrumental to the SL Coast Guard operations. 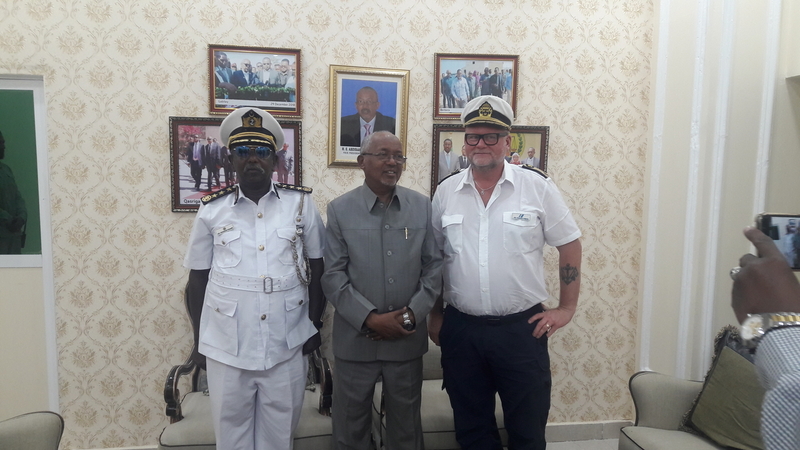 “On behalf of the Somaliland Government he would like to thank the Swedish Government and EUCAP for their contribution to develop the SL coast guards. 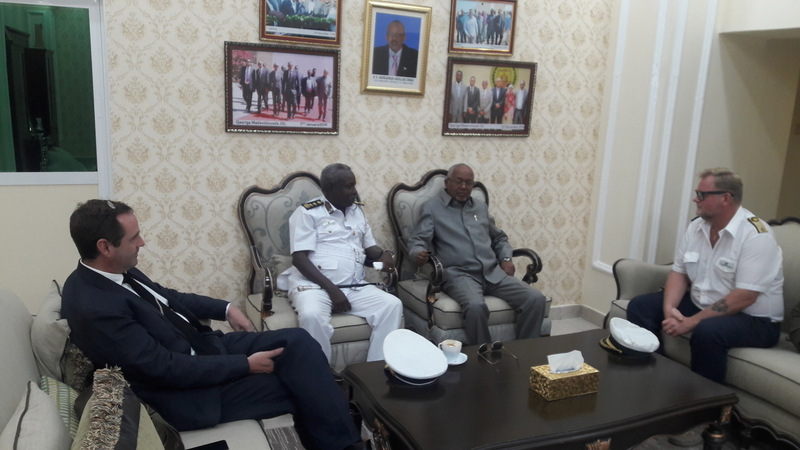 He also expressed the SL government and his personal gratitude to Admiral Kenneth Neijes for his efforts and help to coast guards,” said Abdirahman Abdillah, Somaliland VP. Admiral Hussein also highlighted the personal efforts and constant dedication of Admiral Neijnes to this particular project and the continuous advice and professional expertise he provided the SL Coast Guards. “It was an honour and a unique experience for him to be part of this project and the time he spent in Somaliland with the coast guards” said EUCAP Strategic Adviser Kenneth Neijnes.